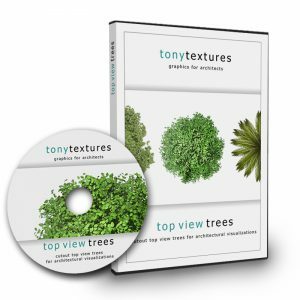 The TopViewTrees Collection is one of our four professional top view collections with ready-to-use cutout plants for plan views and site plans. 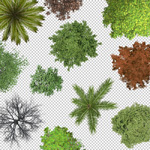 Bring life to your site plans and floor plan views in your next project with the help of this extensive library of cutout top view trees for architectural designs. 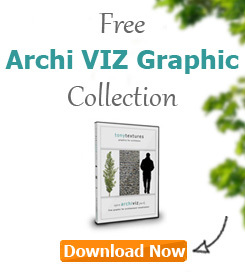 The plant images are specially made for architects and landscape designers who want to showcase the realistic quality of their drawings and presentation materials onto the next level within a limited time. 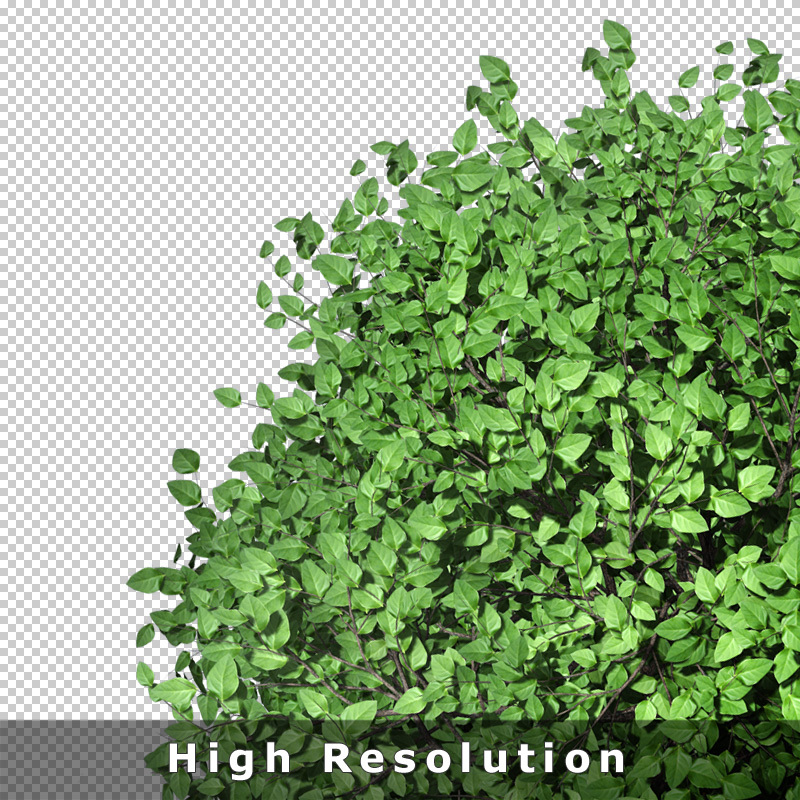 Use your time more effectively for other more important tasks in your project with the aid of our TopViewTrees Collection to speed up your design! 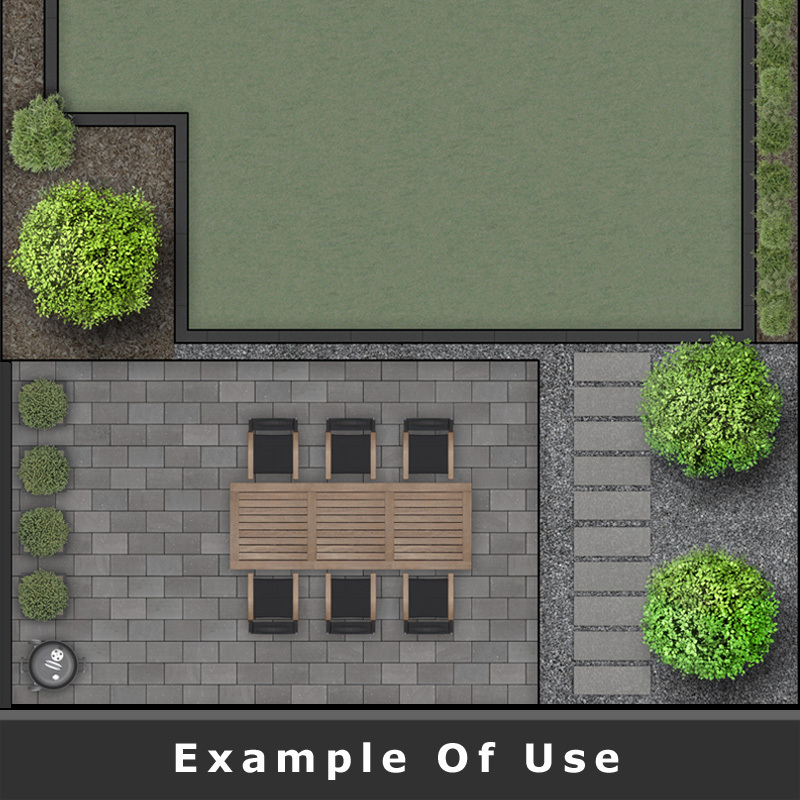 If you need more plan view images like this you should definitely check out our other top view collections for landscape planners and architects like: “TopViewPlants 01“, “TopViewPlants 02” and “TopViewFlowers“. Do not miss our bundle offers to benefit from the special prices and the bonus material! We wanted to create a set of trees that is tailored to the special needs of architects and landscape planners. 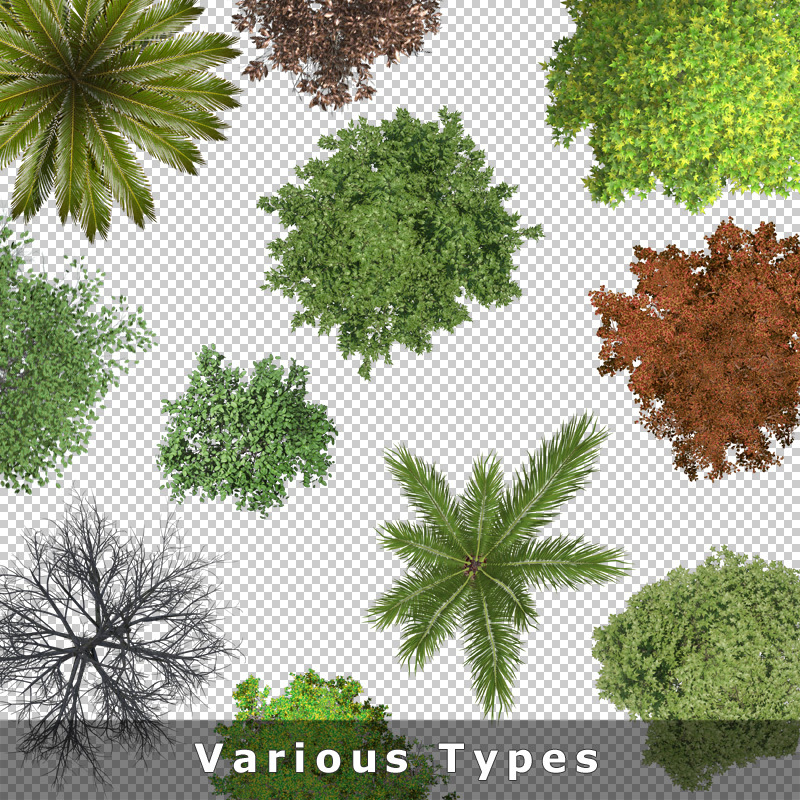 Therefore, the collections includes a wide range of different tree types at different scale, in different colors etc. 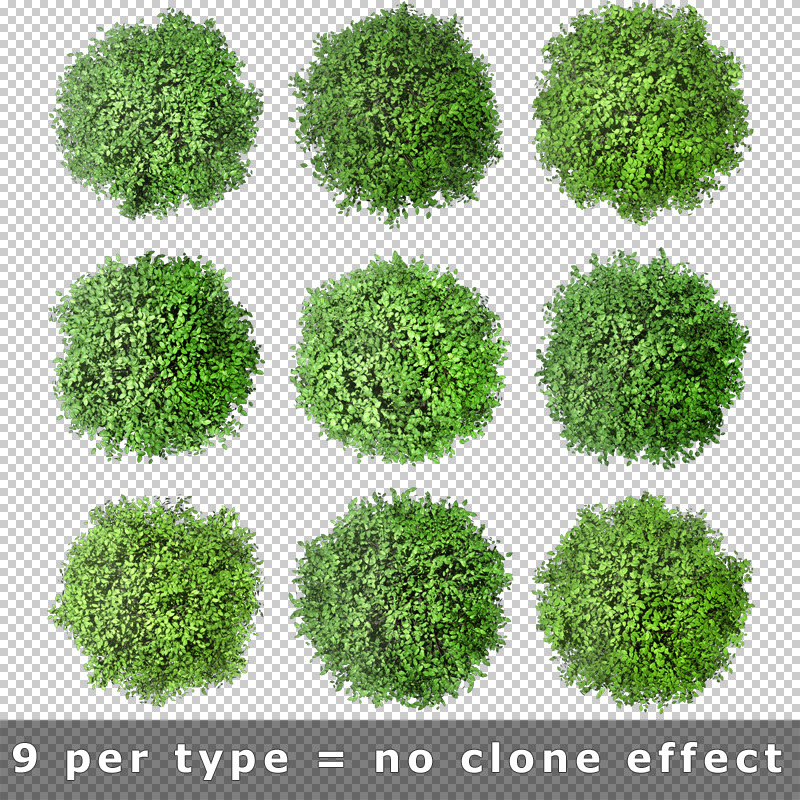 No Clone-Effect: 9 Variations per Tree Type! 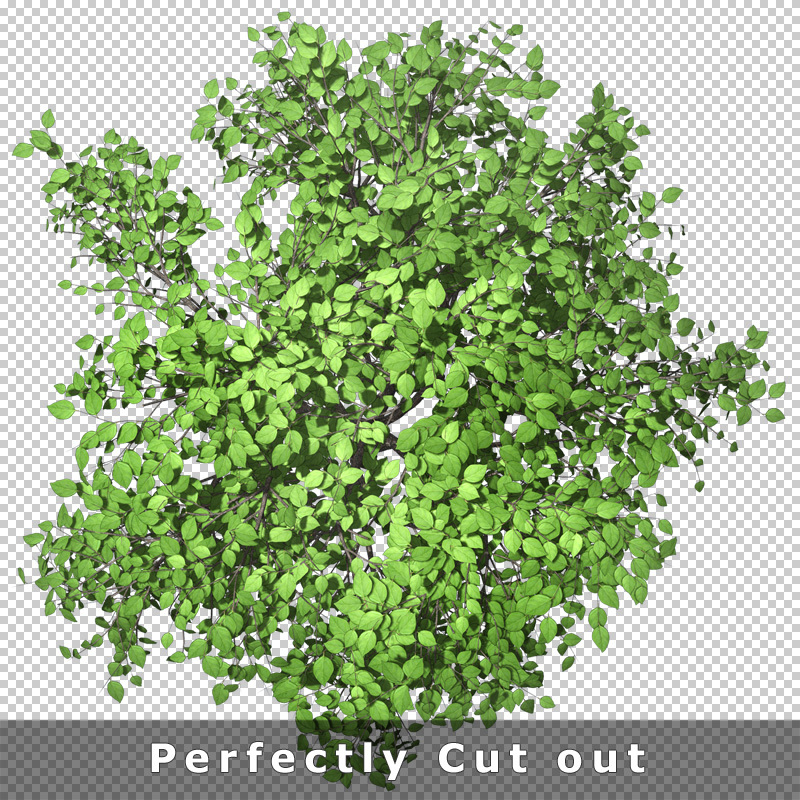 Does this sound familiar to you: Often times, you need to use the exact same tree image and copy it over and over again in your presentation because other cutout tree images in your library does not have a similar look? At the end the clone effect reduces the overall quality of your presentation material as it simply does not look professional. 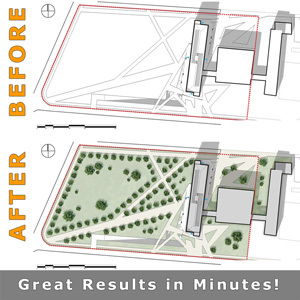 To avoid this problem, we directly provide you with 9 single cutout tree graphics per tree type of a similar look. 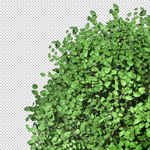 By playing around with the size, rotation angle etc. 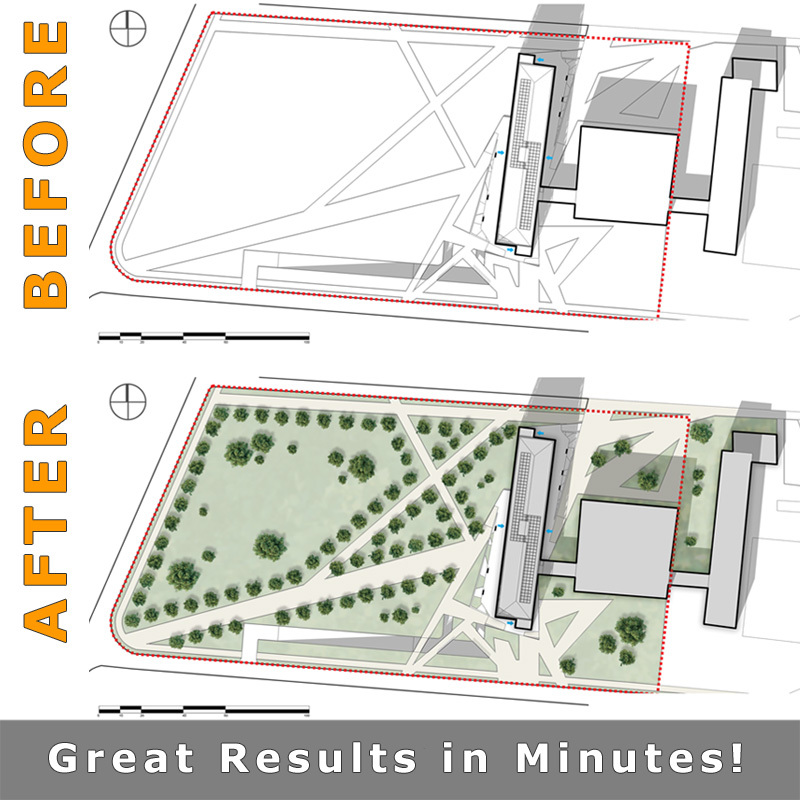 in your layout you can create alleys, boulevards and public spaces without the clone effect in your site plans. 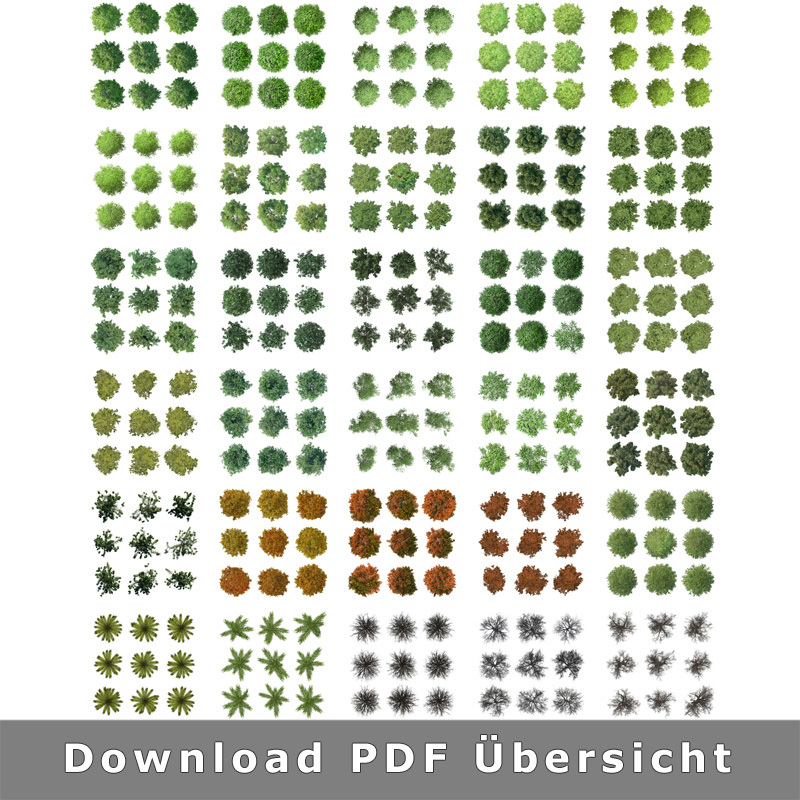 270 single tree images in total! 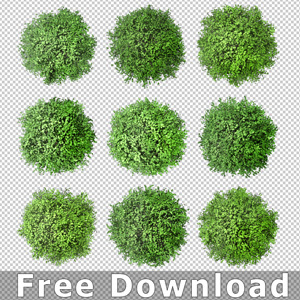 The top view tree images are already masked and thus have a transparent background so you can easily combine these with your presentation material. We used the .PNG format as it is supported by most graphic and CAD tools. 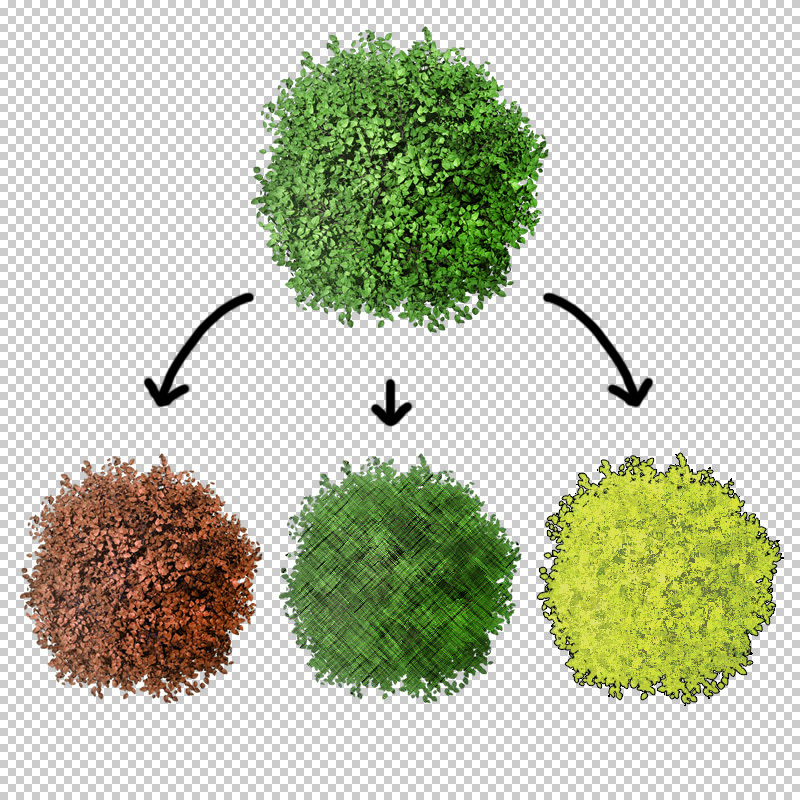 You can simply use the 2D tree photo images via drag&drop e.g. in Photoshop or any alternative tool. With a high resolution of 4,000 px x 4,000 px the images can be used even for printed presentation material. 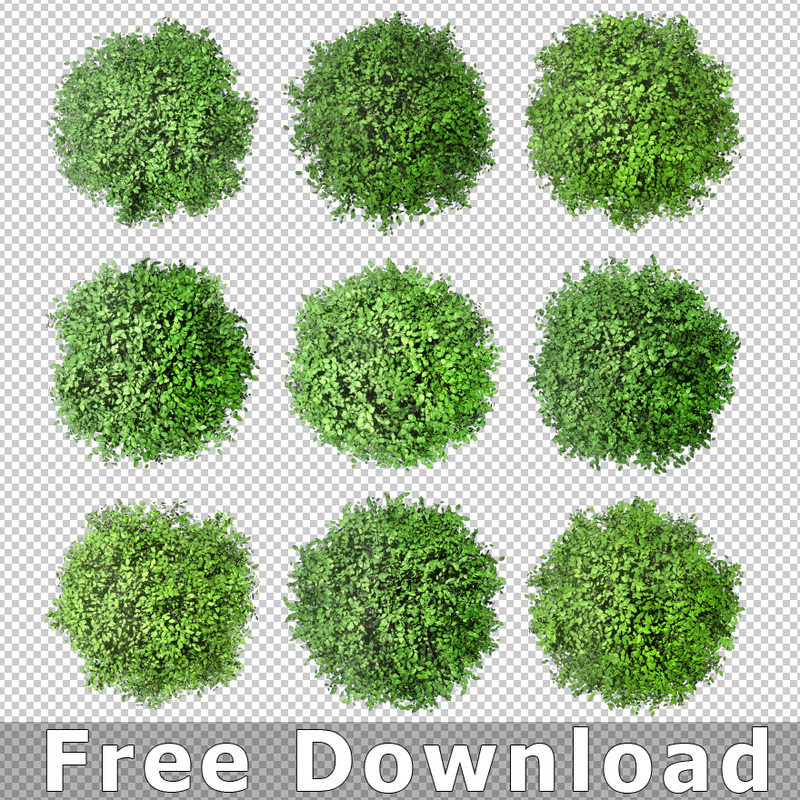 Although the library includes a wide range of different tree types you can use this collection perfectly as a solid basis for your own modifications. 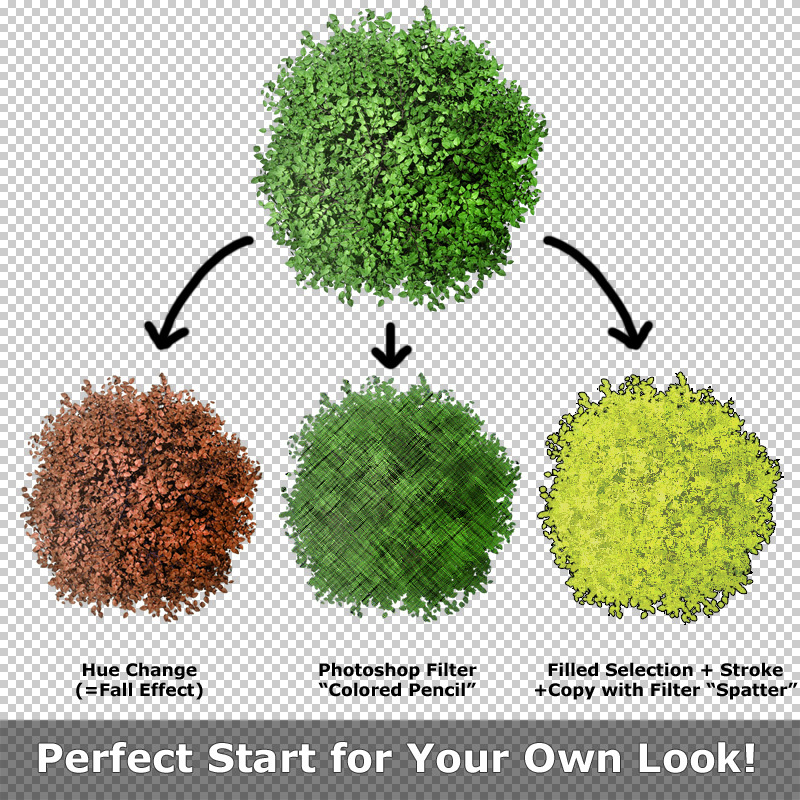 Create different looks with simple Photoshop filters and by changing the color. 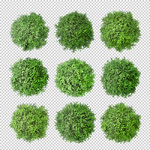 You can even use the tree graphics to create hedges, bushes or shrubs in your architectural presentation. Also during the planning process in CAD 2D tree symbols come handy. 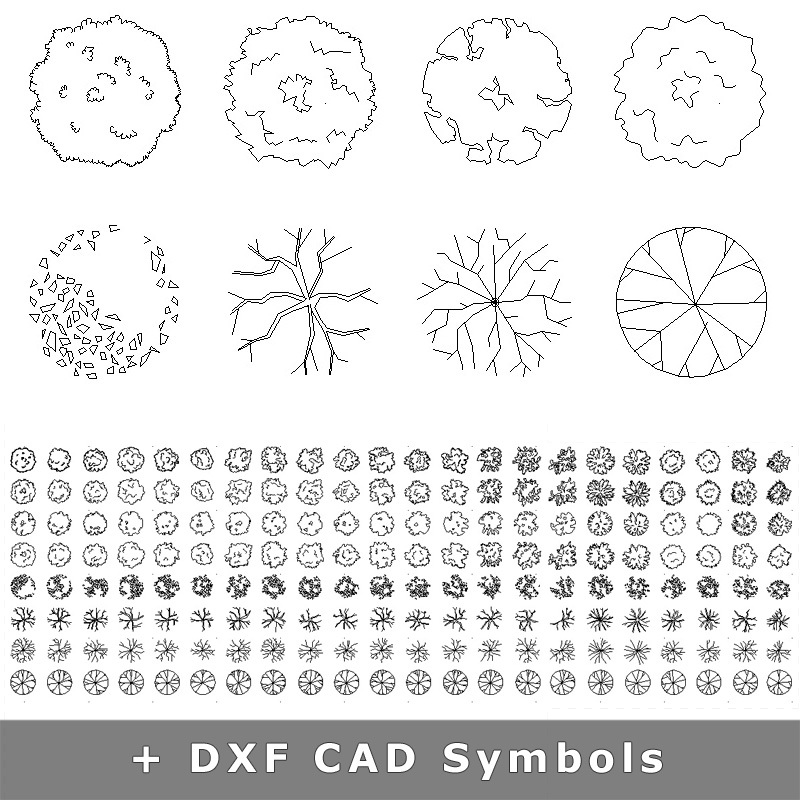 Therefore we put together a library of 2d CAD tree symbols that are included in this collection as well! 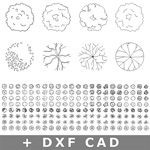 Directly use it in your CAD environment in your next project! Compelling site plans in miutes!